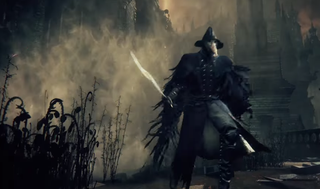 Bloodborne players continue to amaze us with their ridiculous gaming feats. 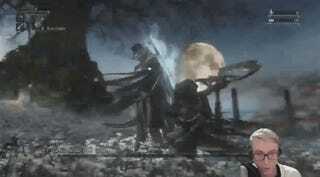 CraddocAtTwitch is a player that has managed to beat most of the major Bloodborne bosses while at the lowest possible level in the game, without healing, and without guns. Really. Basically just learn to dodge all his movesets, it’s not easy. On p1 I punished him with leap attack after his charge attack, also when he did the 1-3 hit combo, I punished him with 1 hit. Do this till p2 starts. P2 is trickier, just dodge everything to your right, punish him with sidestep hits, double sidestep is good too. Try to get him in the loop like I did, by being behind him, hitting and staying behind him whenever he tries to get front of you. When p3 starts, time backstab and do double charge for good dmg. P3 is hard he gets new moves + both forms of p1 and p2, use same strat as p1 or p2 whichever form hes using. To dodge the 2h tornado, count to 3s when hes in the air and front step. According to Craddoc’s Twitch page, he is still going to aim to beat the Moon Presence. That way, he can say that he’s beat all 17/17 bosses in the game. But considering that he’s already beaten Ebrietas, I have no doubt that its just a matter of time before he accomplishes this. The toughest parts of the game are already behind him.